Journal of Nutritional Medicine; 1 (1). 1990. 51-58. NOTE: Ward is a chemist, not a psychologist, psychiatrist, or medical researcher. 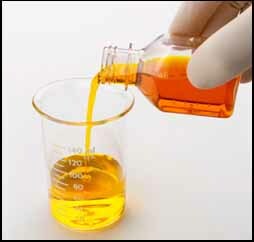 He did the chemical analysis of Yellow 5 in orange drinks and the resultant zinc levels in serum, saliva, urine, etc. The children’s behavior was monitored by a pediatric neurologist. NOTE: The amount of Yellow 5 used in this study was miniscule — only HALF of a single milligram. The study has been criticized by some because his results were not dramatic. I am astonished he had any results at all, and I sure wish somebody would replicate this study with 50 mg of Yellow 5. This entry was posted in 1986-1990, ADHD, Diet Studies, Food Dyes, Research Studies. Bookmark the permalink.